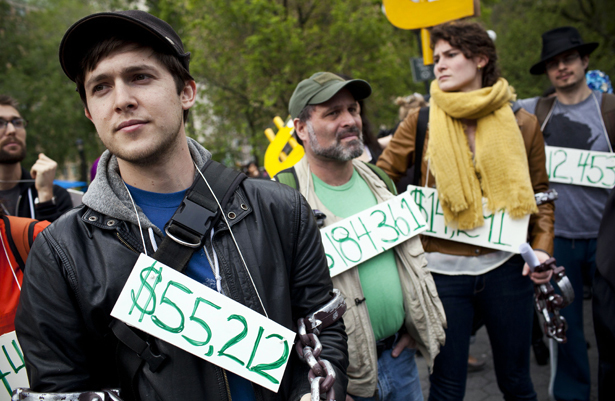 Strike Debt, one of the offshoot groups of Occupy Wall Street, has planned a week of action March 16–23 in response to what it calls a “healthcare emergency.” A majority of personal bankruptcies in the United States are linked to medical bills, with 75 percent of people declaring bankruptcy even though they have health insurance. While it remains unclear what the group specifically has planned—the page suggests supporters “stay tuned for updates”—Strike Debt does promise to make a “big announcement in March,” and provides a list of activism suggestions for supporters, including protesting closed community hospitals, private insurance companies, pharmaceutical companies and/or engaging in creative direct action. General Hospital serves 1,500 patients daily and is the only trauma center between The City and Palo Alto. It also serves many low-income and elderly patients who rely on Medi-Cal and Medicare. In the past, hospitals charged Medi-Cal and Medicare a fee for services rendered to their beneficiaries. Reliance on a new “managed care” model has resulted in lower charges, but also has brought in $8.2 million less than budgeted. And budget figures show that “bad debt,” or situations where a patient simply cannot pay for the care he or she received, is skyrocketing. The hospital allotted some $58 million for bad debt, but it has been stuck with nearly $91 million in unpaid medical bills. “We’re funding wards for which we’re not being given money to fund and keep open,” said Dr. Edward Chow of the Health Commission. Budget cuts significantly hurt the hospital after the health department anticipated receiving up to $16.2 million for mental health care costs, but the money now seems unlikely to be delivered. To date, the anti-debt movement has raised over $564,000, which Strike Debt says has been used to abolish $11,293,338 of debt—primarily relief for individuals crushed by medical bills. In November, Strike Debt held a telethon and variety show in support of the Rolling Jubilee, a system to buy debt for pennies on the dollar, and abolish it. At the time, the group hoped to raise $50,000 in order to purchase and eliminate around $1 million in debt, but they actually ended up exceeding that goal. While Strike Debt has been undeniably successful in generating support and raising cash in order to eliminate pockets of debt, as Salon’s Natasha Lennard points out, its efforts have not yet made a significant dent in the national or even the New York City–wide picture. It would take massive resistance on par with the Canadian students’ tuition hike protests to shift the national dialogue away from deficit chatter to debt relief. Such a movement might seem impossible right now, but student debt has tripled in the past three years, and since most student loan debt is government-backed, the bubble-burst won’t resemble the mortgage crisis. There’s no incentive for the government or investors to rescue students, since unending debt equals unending profits for powerful players. Given no other option, mass student resistance doesn’t seem as unlikely an outcome as it might have a few years ago. But in the short term, Strike Debt might have an easier time generating widescale support by focusing on medical debt, which affects far more Americans—not that the two are necessarily mutually exclusive, since students get sick and fall into medical debt, too. Good health is the bedrock of all other success—academic and otherwise. If individuals can’t afford access to decent medical care, they can’t go on to flourish as students, workers or citizens. It’s time to tax financial transactions! Read Katrina vanden Heuvel’s take.